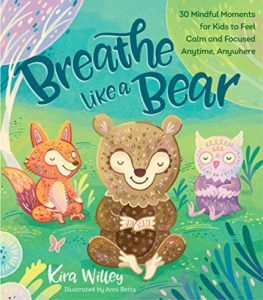 “Breathe Like a Bear” is set to be released on December 5, 2017. If you’re looking for a way to get your young’uns to stop a moment and take a breath, this is your book. This is a great way to introduce meditation and relaxation to your kids. It teaches them how to calm down and relax. There are 30 different techniques in the book. Even though this is great for kids, it is also great for the parents who read this to their kids. It allows for you take a moment and breathe right beside your kids. The book is beautifully done. Kira is also a very charming lady. This is a wonderful book to add to your kid’s library.